Despite vast hydrocarbon reserves and a government committed to economic diversification, Nigeria still faces tremendous problems. A resurgence in its banking sector may help accelerate future progress. Oil is Nigeria’s lifeline, accounting for some 80% of government revenue. Yet, with rebel attacks and labor strikes mounting against international oil companies operating in the Niger Delta, the lifeline’s faucet may be turned down to a trickle. The administration of president Umaru Musa Yar’Adua is playing a balancing act between assuring the safety of oil operations and supporting the arrival of non-oil-sector investments to make up for any potential downturn. Two Niger Delta oil pipelines owned by Royal Dutch Shell and Nigeria’s NNPC state oil company were set ablaze in March, followed by another rebel attack in late April. Also in April workers at Mobil Oil Nigeria went on strike. Oil is often stolen from pipelines tapped by vandals, with losses estimated at some 100,000 barrels per day (bpd), while flow stations are occasionally seized by protesters. A rebel group leading attacks against the pipelines, the Movement for the Emancipation of the Niger Delta (MEND), makes no secret of its attempts to shut down oil production and even issues press releases to publicize its efforts. MEND stepped up its attacks in recent months in an attempt to get the government to halt the secret trial of rebel leader Henry Okah, charged with treason and gun-running. Rebels have long targeted oil companies, contending they do not contribute enough to improving infrastructure and social conditions in the Niger Delta, home to Africa’s largest hydrocarbon reserves. And while the government in Abuja has used funds for social spending, raised through annual debt service savings of $1 billion from Paris Club debt relief, UN data show more than 70% of the oil-rich nation’s population still survives on less than one dollar per day. 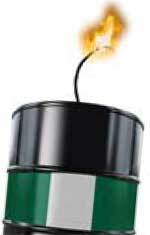 “The violence in Nigeria has been going on for 30 years, but the importance of attacking an oil pipeline when supply and demand are tight gives MEND a lot of leverage,” says Brian Gambill, senior energy analyst at Manning & Napier, an asset management firm in Rochester, New York, with more than $17 billion in assets under management. Gambill says the attacks have caused Nigeria’s oil output to fall from nearly 2.5 million bpd at the height of production in 2005 to around 1.9 million bpd. Nigeria is a country of paradoxes. Despite its abundant hydrocarbon resources, Nigeria imports gasoline, and the population faces frequent power shortages due to deficient infrastructure. The Omotosho power plant in Ondo State remains offline due to the lack of gas supplies to move its turbines, but Nigeria has proven gas reserves of 182 trillion cubic feet. In an attempt to resolve some of these issues, the government ordered a legislative committee to analyze energy supply problems and introduced an energy sector reform plan that offers new incentives for gas-sector investments. Russia’s Gazprom has expressed interest. The government has contributed to oil executives’ headaches. Shell, the largest player in Nigeria’s oil sector, accounting for some 50% of the country’s crude oil output, contends that 95% of its joint venture profits go to the government under a current arrangement, which authorities may seek to renegotiate. Oil companies also claim the government has not met its commitment to invest in technology and equipment to stop gas flaring at oil facilities, which causes pollution and further angers local residents. “The message is that instead of incentivizing companies to come in, this is giving them a disincentive,” says Gambill. “In 1999-2000 the industry invested about $2 billion in Nigeria to maintain production and explore for new production. That increased to $10 billion in 2007, but most of it was spent trying to repair pipelines and bidding for deepwater exploration blocks.” Gambill feels deepwater production offers a safer alternative since facilities are harder to attack, though challenges include the mounting cost of steel to build platforms and high prices for deepwater drill ships. Gambill notes the government recently said it was unhappy with the terms of contracts signed with oil companies for deepwater drilling. Under current terms, companies get to keep 25%-30% of revenue, which Gambill says is appropriate, considering the risks involved. “But we’ll soon start to see a bigger government take through the rejiggering of terms, so the companies’ take could fall to 20%, which could hamper plans for further deepwater production,” he says, adding that Shell is selling two deepwater blocks for $600 million. Mian says that Nigeria accounts for only 2%-2.5% of total global oil production, but its output is critical in the currently tight supply-demand environment with very thin excess production capacity. Nigeria is not only Africa’s largest oil producer; it is also the world’s eighth-largest crude oil exporter. It ships more than 40% of its crude to the United States, where it is easily refined due to its light, low-sulfur content. Nigeria’s commerce and industry minister Charles Ugwuh says the Nigerian oil sector’s future lies in adding greater value. “You cannot grow this economy by simply selling crude oil,” Ugwuh told the press in April. “To grow the economy, we must earn between $100 billion and $200 billion annually, and this can only happen through value addition to our premium commodity, which is petroleum.” The government now earns around $60 billion in annual oil revenue. Analysts say NNPC does not have the funds to invest in new technology that would add value—although local banks are now becoming big enough to help fund development (see box, following page). Other African neighbors are eager to take up any of Nigeria’s oil-sector slack. Angolan authorities have publicly stated their goal of becoming Africa’s largest oil producer, with output already doubling to 2 million bpd in just three years. Ghana last year discovered some 3 billion barrels of oil and expects to begin production in 2010, with output forecast to reach 200,000 bpd in five years. The government, meanwhile, is looking for ways to boost other sectors to reduce the country’s dependence on the oil sector. The value of non-oil exports rose 45.5% in 2007 to some $1.38 billion, compared with a meager $240 million in 2001. It is also hoping to attract investments in other key areas, particularly telecommunications. “The last few years have seen a notable increase in private sector involvement in the Nigerian telecommunications industry, with substantial private sector investment of over $11.5 billion from only $50 million before 2001,” Nigerian Communications Commission (NCC) executive chairman Ernest Ndukwe said in April during a visit to Nigeria by Hamadoun Touré, secretary general of the International Telecommunications Union (ITU). Growth opportunities are staggering. “If you look at this industry, there are less than 500,000 fixed lines in Nigeria today,” says Tom Iseghohi, CEO of TransCorp, a Nigerian conglomerate with holdings in infrastructure, energy and commodities. “This market could take 15 million to 20 million fixed lines. We have a population of around 150 million and a telecom penetration of 25%-27%, while South Africa has a penetration rate of 75%.” Iseghohi says there are also 1 million new mobile subscribers in Nigeria each month, Internet penetration is a meager 3%-4%, and there is no cable television. TransCorp owns a stake in NITEL, the country’s privatized telecom provider, and in MTEL, its mobile telephony unit. TransCorp’s strategy calls for restoring the country’s fiber optics transmission backbone and expanding its international gateway for data transmission, among plans it expects will boost its annual top-line revenue to $9 billion. Iseghohi says companies looking at Nigeria are generally concerned with political and execution risk, as well as the slow speed of doing business. “The cost of doing business is higher, but the revenue you get is so much higher, and you tend to maintain your margins,” he says. “Interest in Nigeria remains high. 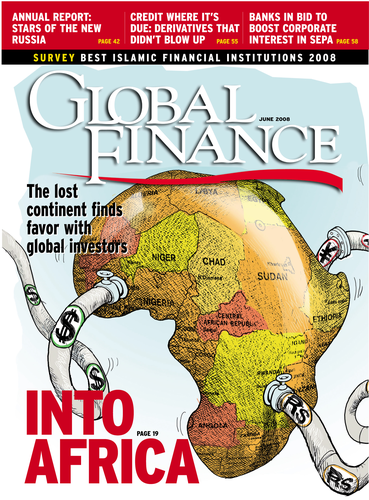 It’s a huge market, with 25% of the population of all sub-Saharan Africa,” adds Hayes. However, he says companies are eying the market cautiously, often servicing Nigeria from such neighboring countries as Ghana, Cameroon and Benin, where their investments are considered to be safer. Despite the challenges, the IMF predicts Nigeria will post 9% GDP growth this year. The government target is for 13% growth by 2020. High oil prices boosted international reserves to $59.7 billion on March 31, but central bank governor Charles Chukwuma Soludo warns the oil windfall could fuel inflation. Headline inflation has been around 8% this year, and the central bank has restricted monetary policy and released supplies from strategic grain reserves to avert an inflation spike. “To operate in Nigeria, companies need to understand the domestic landscape of who the good guys are and who the bad guys are and then learn to navigate that landscape with a strong local partner,” says Iseghohi. “It’s no different than in India or China.” Oil companies may have a different opinion. Perhaps the most dramatic and ambitious economic reform in Africa in recent years is that of the banking system in Nigeria. In July 2004 Central Bank of Nigeria governor Charles Chukwuma Soludo declared that the minimum capital requirement for banks would rise to 25 billion naira ($195 million) from the then-minimum of N2 billion by the end of 2005—a target that most observers believed was impossible to achieve. The series of mergers, recapitalizations and closures that followed the changed capital requirements for banks in 2005 have proved wildly successful, transforming Nigeria’s banking sector for the better and strengthening the country’s overall economic stability. Ibru: Nigeria's banks are able to handle big-ticket transactions. 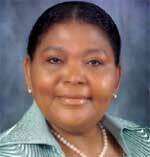 As Cecilia Ibru, CEO of Nigeria’s Oceanic Bank, which has a capital base of N213 billion—the largest in the country—notes, M&A; activity in the sector has necessarily died down from the levels of 2004 and 2005. However, the mindset that emerged from that period continues to inform banks’ actions. “The demand for new capital to enable banks to expand their capacity may lead to further mergers and acquisitions,” she says, highlighting the merger of IBTC and Standard Chartered in March this year. One of the original goals of the increased capital requirements was the creation of domestic banks with sufficient scale to compete with international finance houses to fund the domestic oil and gas industry. Razia Khan, regional head of research, Africa, at Standard Chartered in London, says that the increased capitalization of banks has undoubtedly made them stronger but that in most instances oil and gas infrastructure investment continues to be funded by international banks. However, Ibru says that some progress has been made. “Nigerian banks are now well equipped to handle big-ticket transactions in the oil and gas sector that were hitherto an exclusive preserve of the multinational companies,” she notes. “For instance, Oceanic Bank has supported the local content policy of the Nigerian National Petroleum Corporation by supporting indigenous oil service companies.” Oceanic Bank recently granted a facility of $15 million to Nigerian conglomerate Vigeo to acquire a state-of-the-art anchor handler vessel from Farstad Shipping of Norway.